Yesterday, Kristen was violently attacked by a seemingly user-friendly bottle of bubbly sangria. 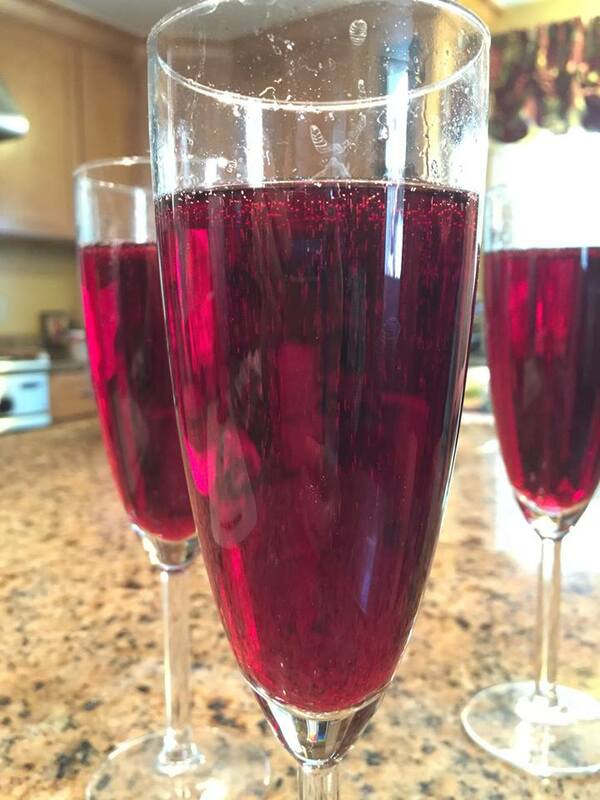 The terms “bubbly” and “sangria” are rarely paired, but that’s what drew us to it. This summer, we’ve been obsessed with bubbles. An avid red wine fan myself, I’ve been veering toward sangria recently to get that deep taste without the warm flush I often get from heavier reds like Merlot. So I’ve adapted to the dramatic shift in New England weather and was thrilled when Kristen revealed her bubbly sangria, which embraced everything I love about wine and our summer. Unfortunately, a late summer lunch comes with cute clothes, and cute clothes don’t mash well with a bubbly explosions. Kristen did the honors of popping our bubbly, which proceeded to explode all over her new elephant pants and white knit sweater. Thankfully, I drink enough coffee (and am clumsy enough) that I’m an expert stain-remover. But we can’t blame it all on the bubbles from our fave Australian vineyard. On our way to Demi’s, Kristen and I were nearly hit on three separate left turns by aggressive speeders flying over hills. The poor bubbly, unprotected in the trunk thanks to Massachusetts law, got tossed around and had plenty of reason for a red-stained revenge when Kristen went to pop it open. That said, it was a delicious glass. Though we may be a bit traumatized from the opening, within a few sips we’d (mostly) forgotten all about the messy incident. 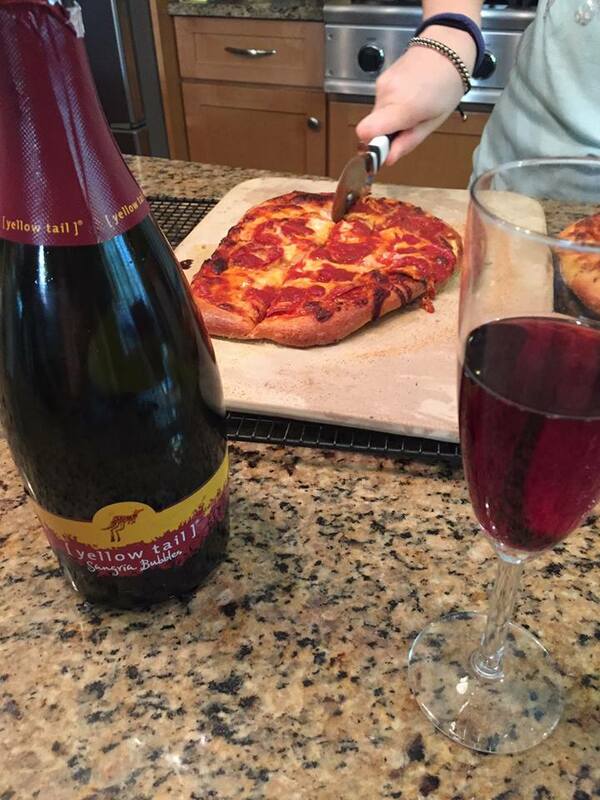 We paired our drinks with homemade pan pizzas, balancing the spicy pepperoni, onions, and peppers with the thick sweetness of the sangria. The bottle was purchased at Wegman’s, costing $9.99 and serving four. Demi, our picky drinker, gives her stamp of approval, showing this is a selection for both avid wine drinkers and those who aren’t. How in the hell do I get this bottle of yellow tail bubbly sangria open without killing myself. Can’t u just use a regular cork top? I really want to enjoy my bubbly but afraid it’s going to explode. Help!!! Hi Gwen! 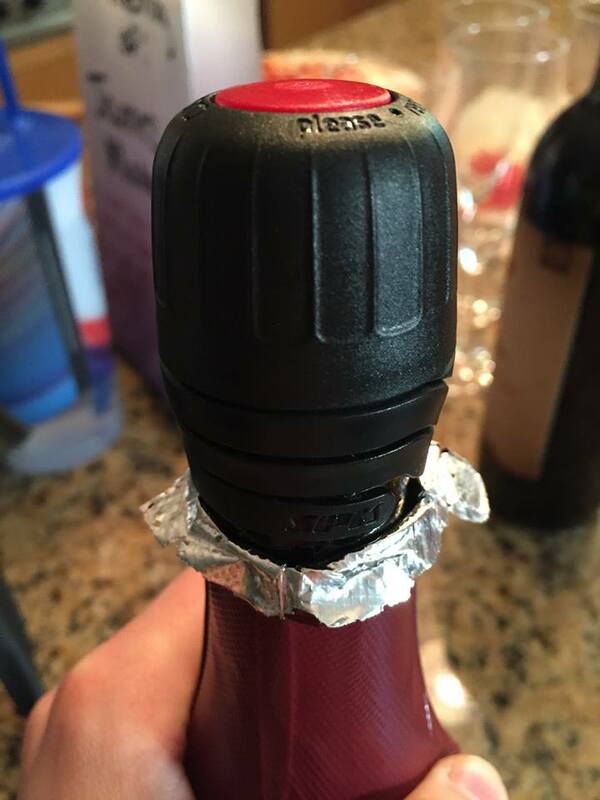 It is a tricky bottle to open, so we recommend popping the cork with a towel around your hand, and making sure to point and hold the bottle away from you while opening. You may not have the same burst of bubbles we did, either – our sangria took a bumpy car ride before we opened it.